Aloo Chaat is an instant chatpata & nutritious chaat recipe which is sure to tingle your taste buds. It is a very good tiffin for school going kids. Make Powder of coriander seeds & cumin seeds. Mix powdered coriander & cumin seed, dried mango powder, red chilli powder, salt, rock salt, pepper together. Chaat masala is ready. Keep it in an air tight container. Now to make Aloo Chaat, heat oil in a pan. Shallow fry the potatoes with ½ tsp of salt & keep aside. In the rest of the oil add ginger, green peas & green chillies. Fry for a minute. Keep aside. 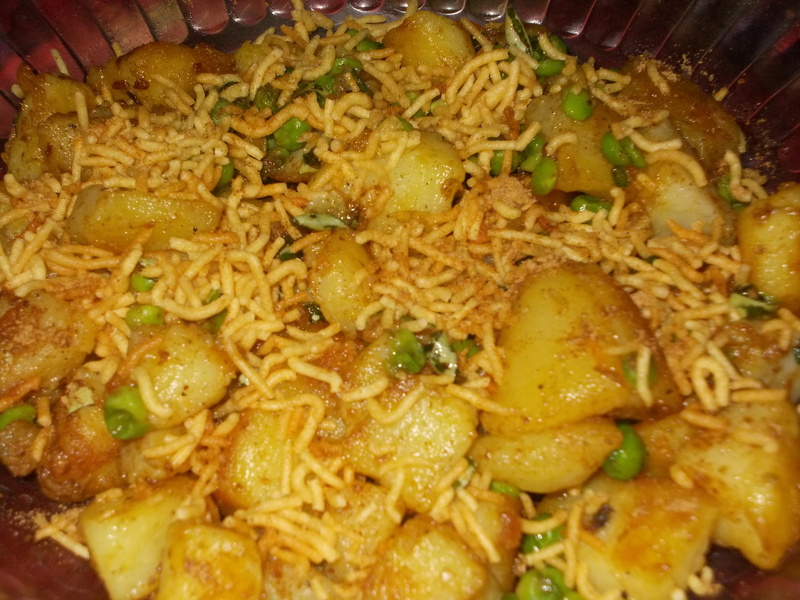 Now mix fried potatoes, ginger-green peas mixture, lemon juice, 1 tbsp of the chaat masala in a bowl. Garnish with bhujia & serve.